The Eight Immortals of Chinese Daoism (Taoism) symbolise longevity and prosperity. 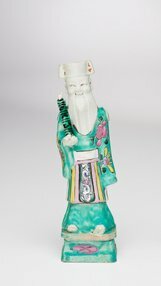 While some of the Immortals are believed to have been historical figures, others existed only in legend. The particular group of eight characters displayed here began to gain popularity in the 1300s. 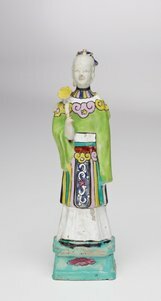 He Xiangu is the only female among them, though the age and gender of Lan Caihe are unspecified. 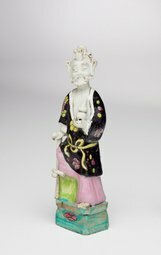 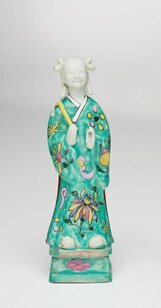 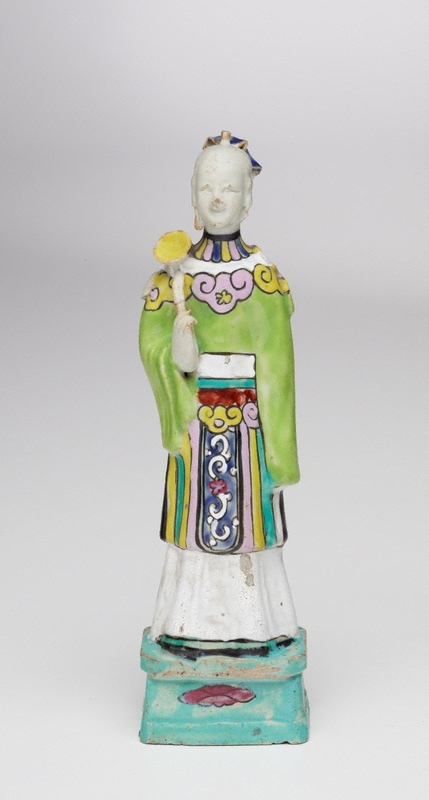 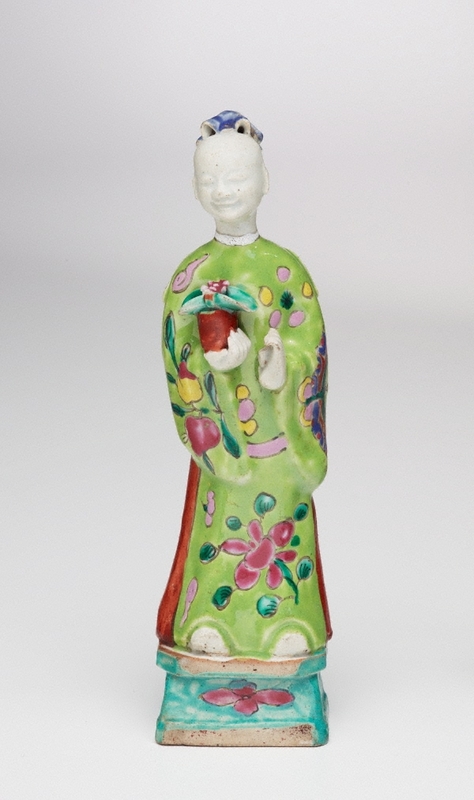 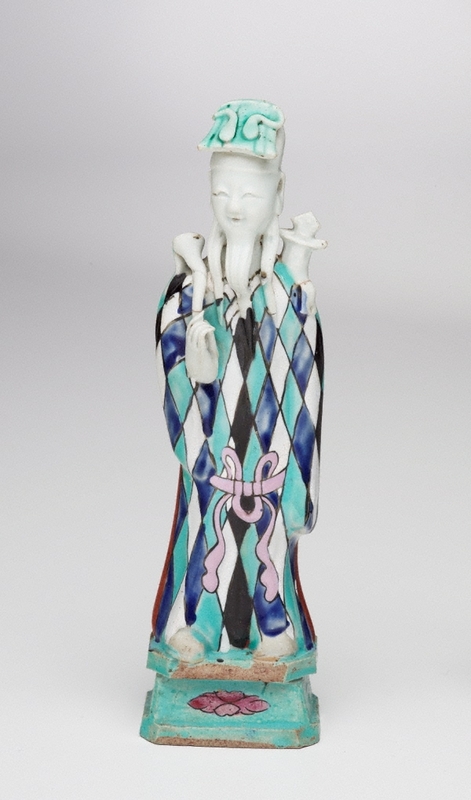 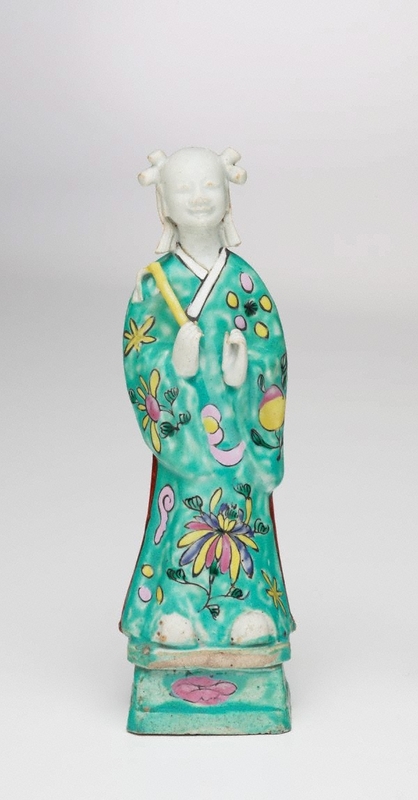 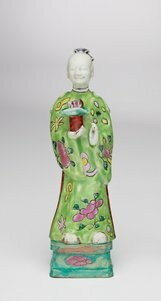 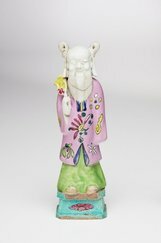 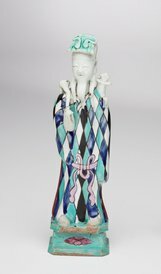 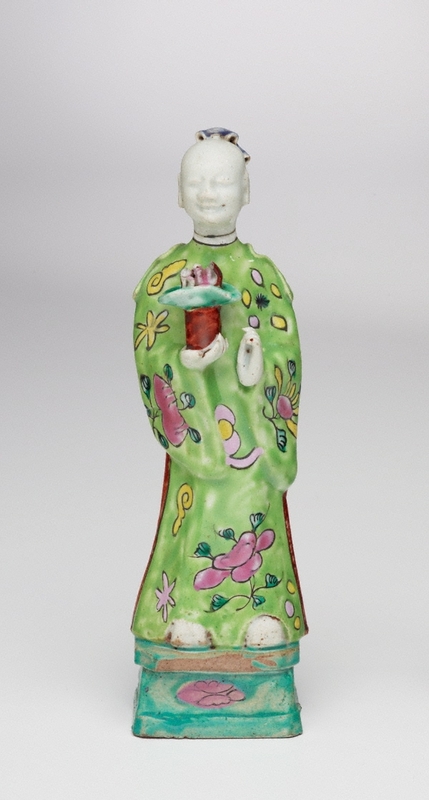 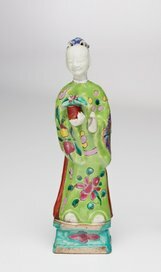 The figure holding the gourd is Li Tieguai who is often associated with medicine and healing. 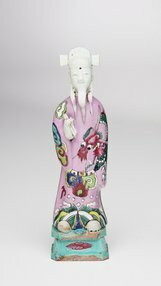 The Immortals are thought to live in the Isles of the Blest.